Re-Circuiting Trauma Pathways in Adults, Parents, and Children presents the evidence-informed and substantiated Intergenerational Trauma Treatment Model (ITTM), with an emphasis on up-to-date trauma theory, the development of specialized clinical skills, and the replicability of methods. Grounded in original research, experiential practice, and mathematical principles of logic, the ITTM targets and treats both the child’s and the caregiver’s complex trauma, providing the content and the process for supplying an effective, and brief, caregiver-first treatment option. It delivers an innovative, multigenerational approach to complex trauma treatment that strengthens the caregiver-child relationship by motivating and teaching caregivers to help their children cope with the effects of trauma. Looking for further discussion around the book? Dr. Barbara Woods has created a Facebook group called Resilience Based Psychotherapists – Supporting Families in Tough Times that has over 6,000 members! Please follow the link provided and click “Join Group” if you are interested in joining the discussion. 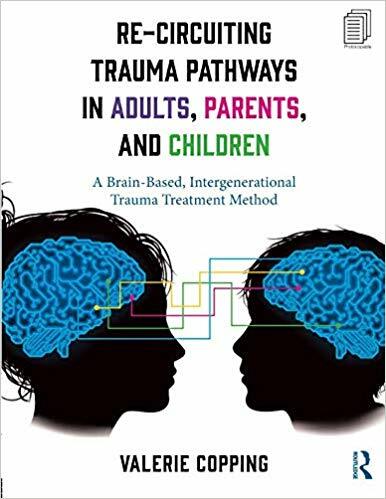 If you’re interested in additional resources for learning about the ITTM model, the following videos have been created by ITTM Trainer, Dr. Barbara Woods, for her book study group on Re-Circuiting Trauma Pathways. You can find the links to each video below.